Pakistan has once again lurched into crisis mode. Its economy is in a shambles, and its leaders hope to get a financial lifeline from the International Monetary Fund, China or Saudi Arabia, to keep the economy afloat. The tragedy of Benazir Bhutto’s assassination was followed by the joy of Pervez Musharraf’s removal, but internal squabbling among civilian successors has created the sort of unstable environment in which many begin to yearn for the certainty of military rule. Ali has been a remarkable activist, gadfly, columnist, muckraker, writer and journalist. The wild sweep and authority with which he often writes makes those of us concerned about fact-checking desks wonder where he gets his information and how he verifies it. But Ali is schooled in a different kind of journalism, the one that pursues the bigger picture, the larger truth, even if the details on which he builds his theories, hypothesis and edifice seem questionable. So the precise details of his narrative—which businessman benefited how much from a particular general—may or may not be accurate; the story of a former dictator running naked on the streets of the capital may be apocryphal. But the broader point—of venal generals, corrupt and incompetent civilian politicians, an often pliant judiciary and “bearded lunatics" who’ve appropriated religion—resonates and cannot be brushed aside. It is hard to predict if Pakistan has reached such a tipping point again, and Ali is now not going to make such predictions. 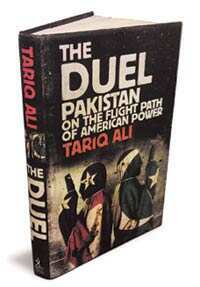 In The Duel: Pakistan on the Flight Path of American Power, Ali writes a delicious, gossip-filled, no-holds-barred, personalized history which shows Pakistan’s long journey towards chaos. Ali blames leaders at the time of Pakistan’s independence for sowing the seeds of the current malaise—and that malaise runs deeper than the troika of generals, politicians and mullahs. He shows, for example, how the idea of Pakistan came late during the Indian struggle for independence, and how few of Pakistan’s leaders had coherently thought what such a nation would look like. Was it the home of the subcontinent’s Muslims? Or of some Muslims? Was it meant to be an Islamic state? What role would the mohajirs—Muslims from India who came to Pakistan—play? Ali’s case is that Pakistan’s founding fathers hadn’t really thought through these implications. And when independence arrived, they realized that they did not have the wide popular appeal that Indian leaders such as Jawaharlal Nehru, Sardar Patel and Maulana Azad had. Those leaders had spent time in British jails and earned credibility and respect; few Pakistani leaders had gone to British jails fighting for Pakistan’s freedom, because their struggle, Ali argues, was with Hindus, not so much with the British. Feudal landlords wanted to avoid chaos; politicians were busy lining their own pockets; and the bureaucrats and the judiciary acquiesced. The generals marketed Pakistan as an important ally to contain the communist Soviet Union in the 1950s (and godless Soviet Union during the Reagan-era), and agreed to become a vital player in the anti-communist jihad. Ali is livid with the generals who destroyed hopes of democracy taking root in Pakistan. Ayub Khan first, then Yahya Khan and later, Zia ul-Haq and Pervez Musharraf militarized the society, attempting to convince the people that Pakistan was safe only under khaki rule. Ali had pinned great hope on Zulfiqar Ali Bhutto, but he too surrendered to fundamentalists, declaring that Ahmediyyas were not Muslims, giving more power to reactionaries, who had little time for his progressive rhetoric. He wanted nuclear weapons— he said Pakistan would rather eat grass than not have the bomb—and paved the way for further decline. His daughter gave Ali some initial hope, but despite her personal bravery, she too squandered her opportunity. Ali is saddened, but not surprised, that she wished that in the case of her death, her college-going son should take over the party. The Sharif brothers, too, don’t come out well in this saga. They could not forgive the Bhuttos for having nationalized their business and once in power, their greed, too, showed no end. Ali blames them all, but also the US, which did nothing to encourage genuine democratic forces. The conditions the US imposed on Pakistan to seek its support in the war in Afghanistan after the attacks on September 11, were humiliating for Pakistan. With characteristic irony, Ali says that had Pakistan accepted those conditions, it would have been reduced to the status of Britain (the book abounds with such sarcasm). To be sure, the choices in Pakistan are more nuanced than the comic book divide between flawed democrats reeking of corruption, gun-toting mullahs seeking to establish the shariah and ever-present generals unwilling to surrender an ounce of power. The democrats are legitimate but corrupt and incompetent; the fundamentalists are accurate in their social critique of what ails Pakistan but morally compromised and nihilist in their outlook; the generals appear to provide a semblance of “nationalism" while having spent 60 years lining their pockets. When Ayesha Siddiqa pointed out this corruption in her book, Military Inc., it was withdrawn from Pakistani bookshops. As its founding father, Mohammed Ali Jinnah had foreseen a different Pakistan. In his address to the Constituent Assembly in 1947, Jinnah blamed India’s deep divisions for its colonial subjugation and told his new nation: “You are free to go to your temples, you are free to go to your mosques or to any other place of worship in this State of Pakistan. You may belong to any religion or caste or creed that has nothing to do with the business of the State... you will find that in course of time Hindus will cease to be Hindus and Muslims will cease to be Muslims, not in the religious sense, because that is the personal faith of each individual, but in the political sense as citizens of the State." That looks like a distant dream, and Pakistan is far from that. Ali no longer wants to know if in its current form Pakistan will survive. Geopolitical necessities might keep it going, and indeed, it is not in the interest of anyone, least of all India, to see Pakistan disintegrate. He now asks: Can Pakistan be recycled? What he would like Pakistan’s leaders to do is eminently sensible: implement real land reforms, invest in social infrastructure, increase literacy, respect the rule of law, empower women, and free the minds of Pakistanis. Ah, but how does one do that? Salil Tripathi writes the weekly column Here, There, Everywhere for Mint.